Rollers perch evenly spaced within groups. True rollers gather into migrating flocks, and are territorial most of the year. 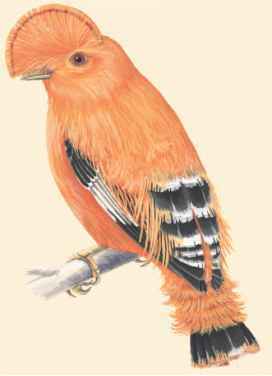 They are usually seen singly or in pairs, sometimes in post-breeding families. When breeding, they are noisy with loud cackling calls that occur during daring maneuvers. During non-breeding seasons, the birds are quiet and slow. Ground-rollers are territorial, especially when feeding. When in danger, they sit quietly in a well-concealed position. They make brief, gruff-sounding calls mostly during breeding. During courtship, true rollers use loud sounds while rolling during through the air. Bowing is performed between male and female pairs while perched and facing each other, with mating occurring afterwards. Unlined nests are usually located within tree holes, but also found in crevices (narrow cracks in rocks), rocky parts of mountains, and buildings. Clutches, groups of eggs hatched together, are three to six unmarked white eggs, with an incubation period, time needed to sit on eggs, of eighteen to twenty days. Females do the sitting, but males help out. Newly hatched chicks are naked and helpless, with small feathers first appearing around seven days. Full feathers occur between seventeen and twenty-two days. Both parents feed nestlings, young birds unable to leave nest, for around thirty days, and for up to twenty days after fledging, learning to fly. Ground-rollers breed during summers. Pairs defend their nesting territories, and courtship feeding of females by males is common. Nests are made in tree hollows, but some nest in chambers at the end of a burrow excavated, dug, by the birds. Two to four white eggs are laid. Incubation appears to be performed by the female, and both parents feed nestlings.